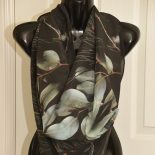 Before designing my fabric comes the sourcing and capturing of the flora that speaks to me in some way, be it colour, form or fragrance. I have two main themes , Indigenous Flora of the Bendigo region and Suburban Flora of the Bendigo region. Today I spent several hours in the studio photographing an old friend that will become part of the latter portfolio. The old friend is a red hibiscus that has travelled with us from Melbourne to our bush block and from there to where it now sits near our suburban front door. For over 25 years each summer and autumn it has produced glorious blooms. It is about time I created something beautiful in return. 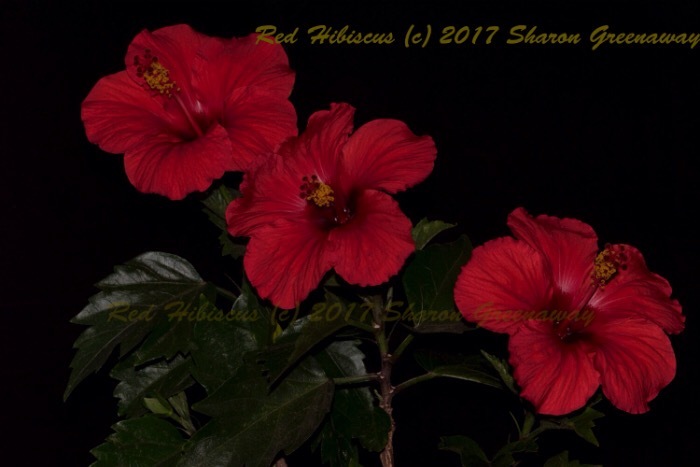 This entry was posted on March 18, 2017 by sharongreenaway in #sharongreenaway and tagged autumn, fabric design, flora, photographic art, red, sharongreenaway, suburban flora, summer.